In difficult times, people immerse themselves in the magic of mellow music; in slumberous, sun-spun soundtracks; in collections of exploratory, elegant songs. has made this record and called it ‘Of Tide and Trail’. Dan’s music first emerged in the summer of 2006, with the release of his debut album, ‘Around In Circles’. It was written in an old cottage in the Scottish Borders where he and his wife grew vegetables for sustenance and collected wood for heat. It introduced a songwriter who chose a simple way of living, and whose songs glimmered with the warmth of hearth and home. Made by a nomadic soul born in the jungles of Borneo to Polish parents, this was a soothing record from a man who had found a place to settle after a childhood travelling across continents and a youth spent in London’s endless urban horizons. Nevertheless, ‘Of Tide and Trail’s’ lyrics are less about nature, and more about nurture. Tracks like ‘Cries’, a remarkable nine-minute track about a father’s experience of a first-born, are, he believes, amongst his most honest songs. “The birth of your child makes you think about the big questions that persist through the ages. I wrote it at four in the morning, with the moonlight flooding through the windows, the boundaries between generations of family, current and past, becoming increasingly blurred.” “It’s the kind of song that could be taken for a rather over-active sentimentality, but for me having a child has been the most magical, awakening & occasionally terrifying experience. It brings forth an emotional purity and intensity which I’ve attempted to capture. There are no platitudes or pretensions to it. 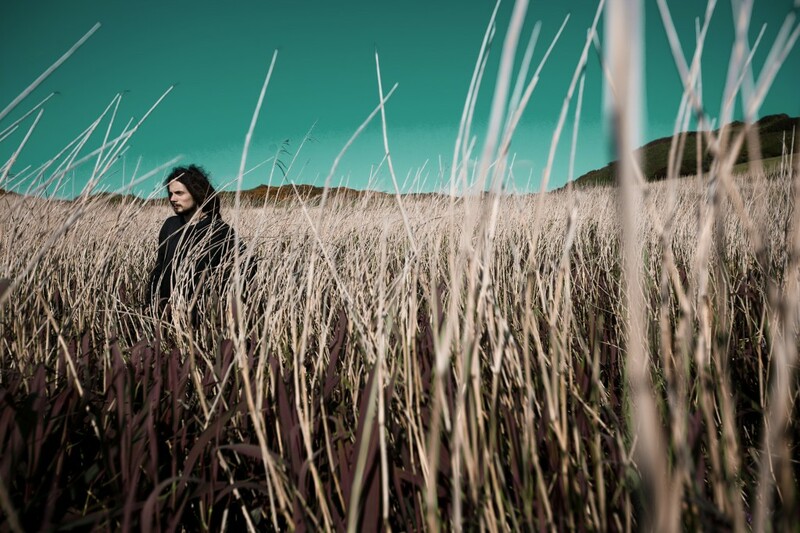 It’s just how I feel, unadulterated and unadorned.” Other songs on ‘Of Tide and Trail’ travel from driving folk-rock peaks to hushed reflective valleys. ‘Days Even Years’ addresses the passage of time and the inevitability of death, with an incredible tenderness. The spry, jaunty opener, ‘Another Side Of The Sky’, and the clarion call of ‘I Live’, both bristle with unbridled, infectious energy. From the questioning of life in the contemplative lyrics of ‘She Told Me How To Love Her’, to an ode to a growing daughter ‘My Child’, a huge heart beats boldly. This quietness also inspired his album’s most ambitious tracks. Take the epic achievement of ‘Under Your Spell’, 7 minutes and 16 seconds of building guitars, vocals that evoke memories of Tim and Jeff Buckley, and washes of electronics that slowly submerge the listener. Then there is the album’s incredible closer, ‘Feet in the Sea, Head In The Stars’. It burns with the soft power of Talk Talk’s Desire, before it crests in a wave of intense, psychedelic rhythms. It ends as beautifully as it began, with Arborise telling us “The tide it pulls forever on, back to where we all belong”. 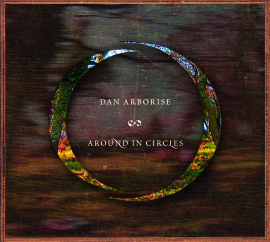 When ‘Around In Circles’ took its first breaths, critics called Dan Arborise a folk singer for the 21st century. ‘Of Tide And Trail’ shows his desire to pick up this mantle, wear it with warm, gentle, confidence, and take it much further. ‘Of Tide and Trail’ is filled with positivity for the human beings we are. It is for the tough times we live in, for our hearts and our heads, and for the possibilities of hope. Dan Arborise understands us. 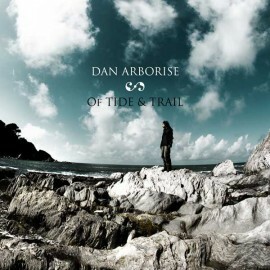 Dan Arborise has reached out to us, and given us ‘Of Tide and Trail’.